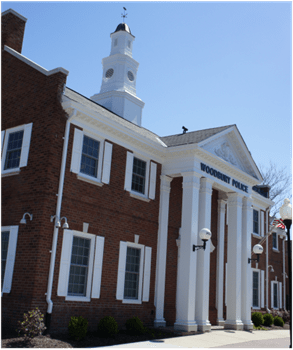 The Woodbury City Police Proactive Criminal Enforcement Unit (or PACE Unit) is made up of two uniformed Officers. Ptl. Alex Phillips and Ptl. Nick Cacciola are assigned to the PACE Unit. The PACE Unit is strictly proactive in nature, they do not react to calls dispatched, rather create calls themselves by proactively policing, in an effort to deter and detect criminal activity. The PACE Unit patrols the streets in marked and unmarked police units, targeting “hot spots” during peak crime times. The PACE Unit focuses on enforcing traffic and criminal laws, warrant services, narcotic enforcement, underage drinking, developing criminal investigations and assisting the Detective Bureau with investigations. The PACE Unit also serves as Community Policing Officer’s working with the community to promote police/citizen relationships. The PACE Unit has a unique relationship with the community, by educating the community on safety/crime prevention, attending all community events, youth events and participating in the Department’s Junior Police Academy. The PACE Units overall missions is to stop crime before it happens through a proactive policing effort, making the City of Woodbury less appealing to the criminal element while enhancing the quality of life in our community. Ptlm. Andrews was initially hired by The Millville Police Department in August of 2012 and attended the Cape May County Police Academy. Ptlm. Andrews earned his certificate from the academy as a Full Time Police Officer. Ptlm. Andrews was then promoted to the position of Detective by The Millville Police Department in February of 2014. In September of 2015, Ptlm. Andrews was hired by the Woodbury City Police Department as a Full Time Police Officer. Ptlm. 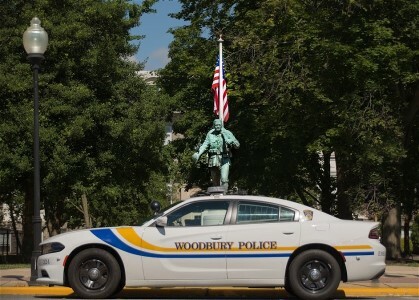 Andrews then served the city of Woodbury performing all duties that encompass the position of Patrolman. Ptlm. Andrews has worked in the Patrol Unit until this past September of 2017, where he was assigned to the PACE (Pro-Active Crime Enfrocement) Unit. Ptlm. Andrews now holds the titles of PACE Unit and Field Training Officer. Ptl. Mitchell has worked in Patrol until this past December of 2016 where he was assigned to the PACE (Pro-Active Crime Enforcement) Unit. Ptl. Mitchell now holds the titles of PACE Unit, Housing Officer, and an Alco-Test Operator.